100% human grade for your birds to enjoy. 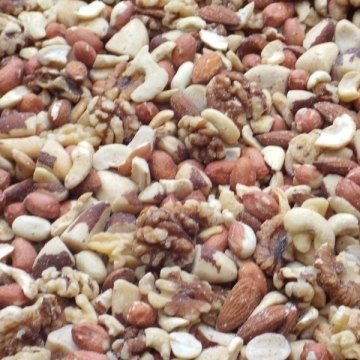 A delicious blend of Walnuts, Cashew nuts, Brazil nuts, Peanuts, Almonds. Bought for human consumption - really good for the parrot too!